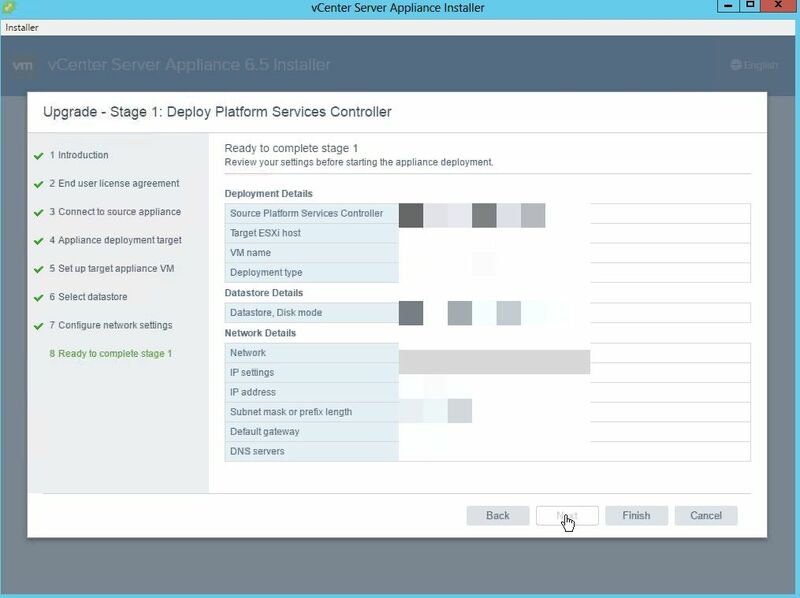 Read the KB 2147548 \ KB 2147686 before upgrading the vshpere environment for the Compatibility considerations and also for the best practices to make sure all the products which is connected to the vsphere will support the 6.5 version. 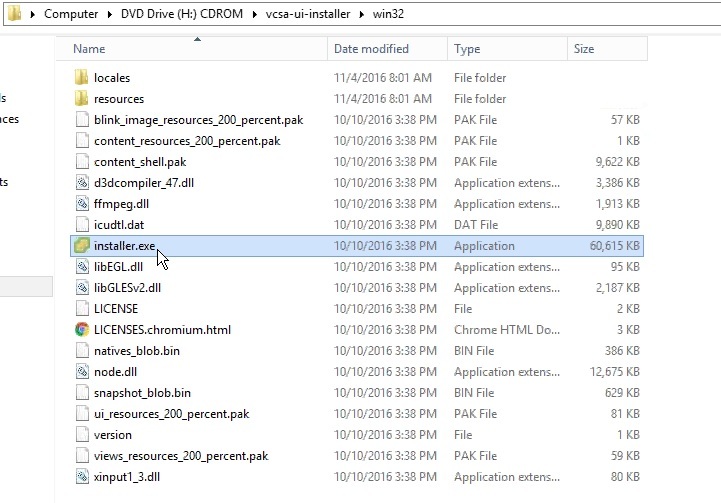 Once ISO is downloaded , open the content inside the folder and we can see the below folder structure and we have several ways to install or upgrade the VCSA 6.5.Basically we have below three types of the installation and Readme will give the clear instruction on the installation methods. 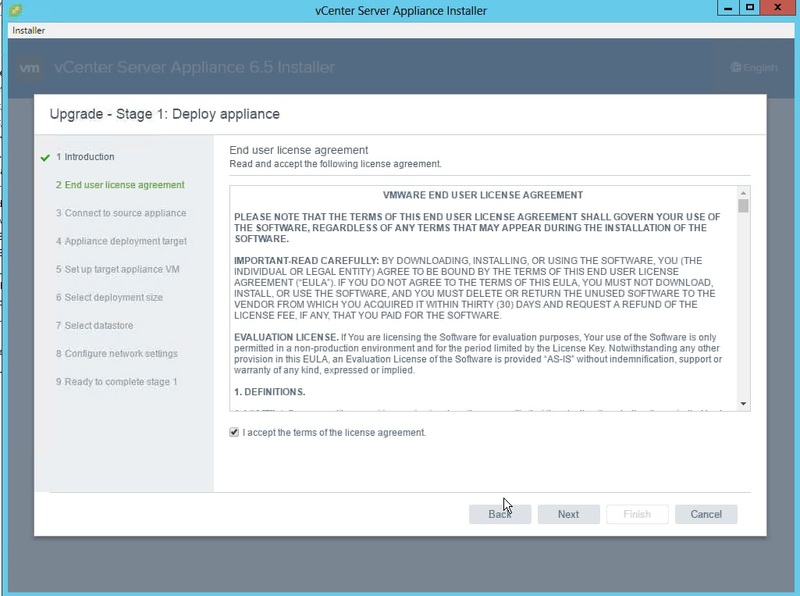 First good factor on 6.5 is no need to have the Client Integration Plugin and we can see UI Based Installer steps. 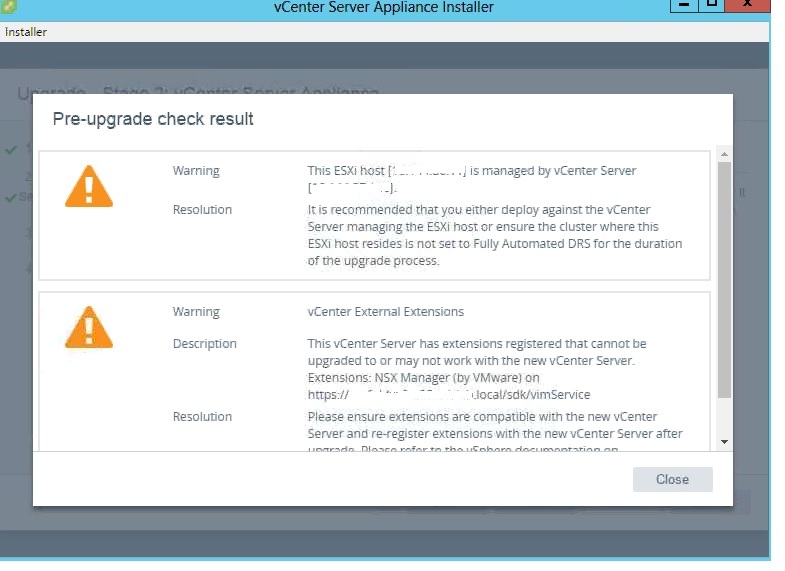 Before starting the upgrade, rename the existing PSC\VC on the vcenter as old because during the upgrade process it will ask for the target PSC\VC name for the deployment and if it is already on the same VC or ESX then it will show the error as VM name already exists in the vcenter. 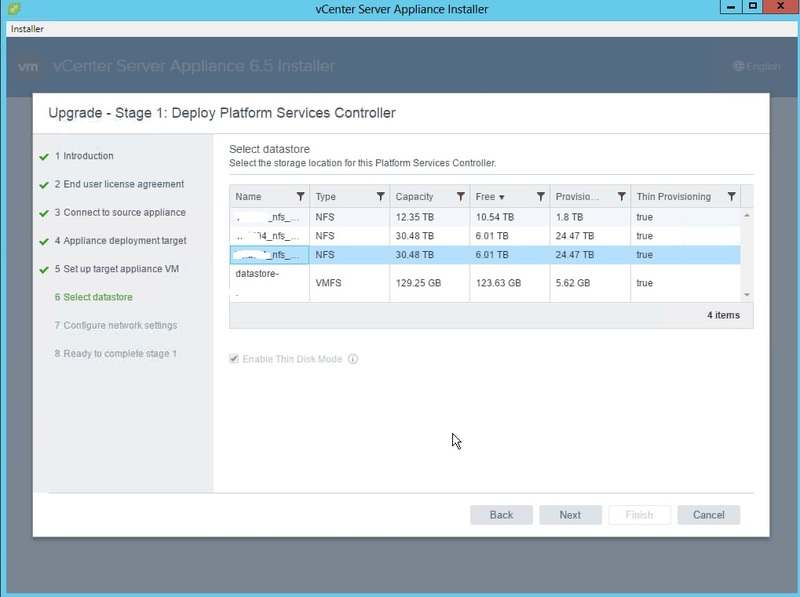 Another important thing is we need one temporary IP for migrating the data from the OLD version to the new psc\VC 6.5. One more item is we need to make sure to remove the DRS from fully automated during the upgrade process. 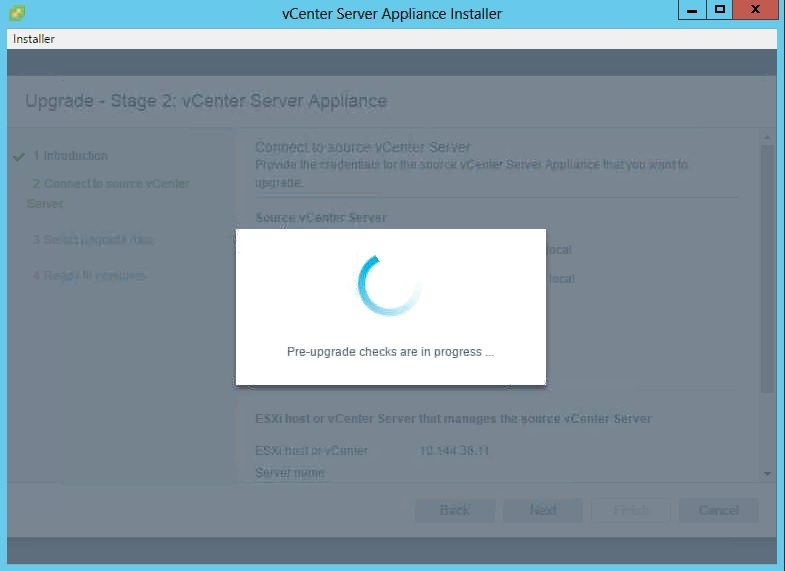 Upgrading the appliance is the two stage process . 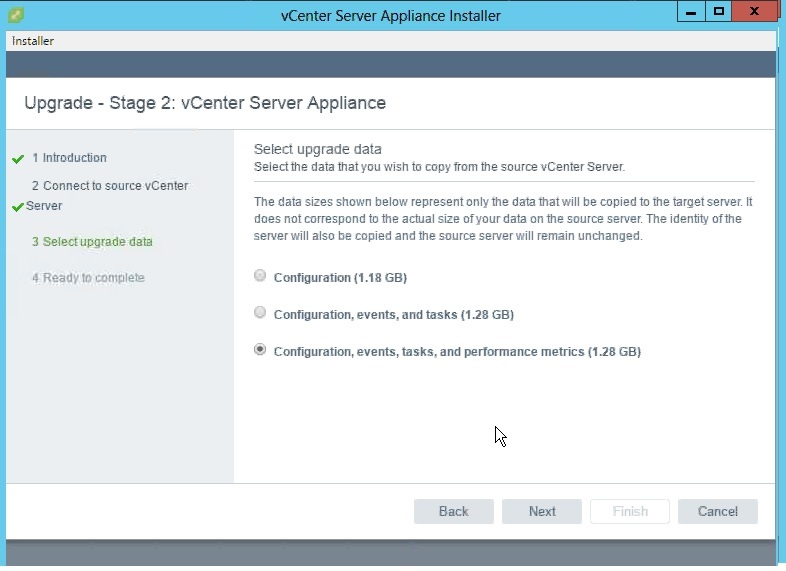 First stage involves deploying the new VM to the ESX\VC and the second process is copying the data from the source to destination appliance . 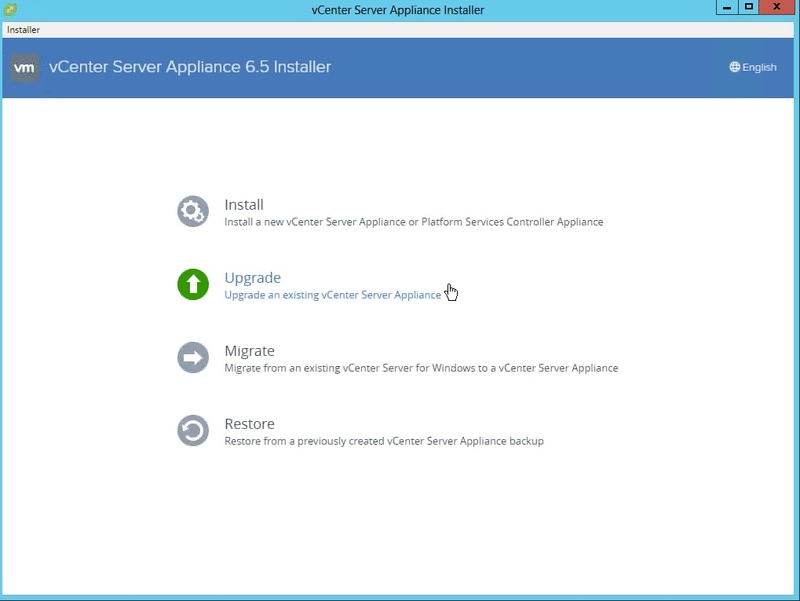 It will open the console to select for the new installation or upgrade. 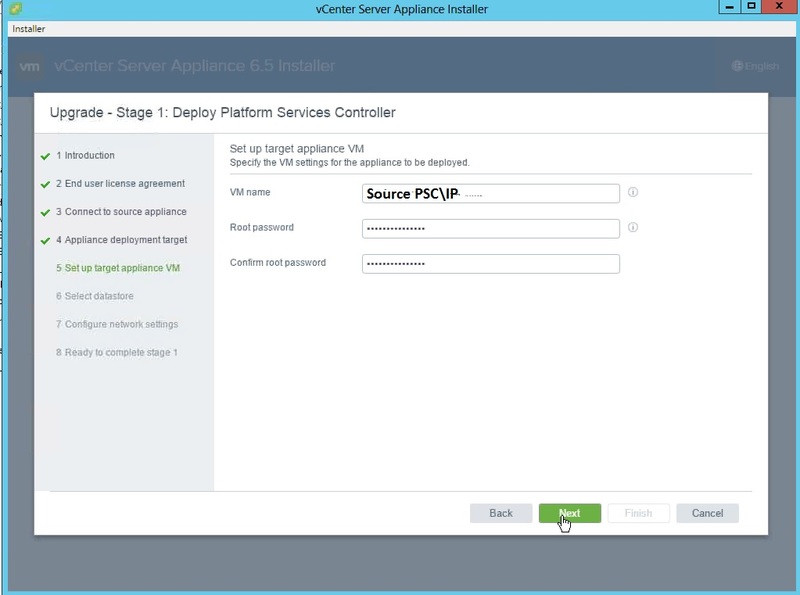 Next provide the source PSC\VC IP and also select the ESX\VC which the source appliance is running. 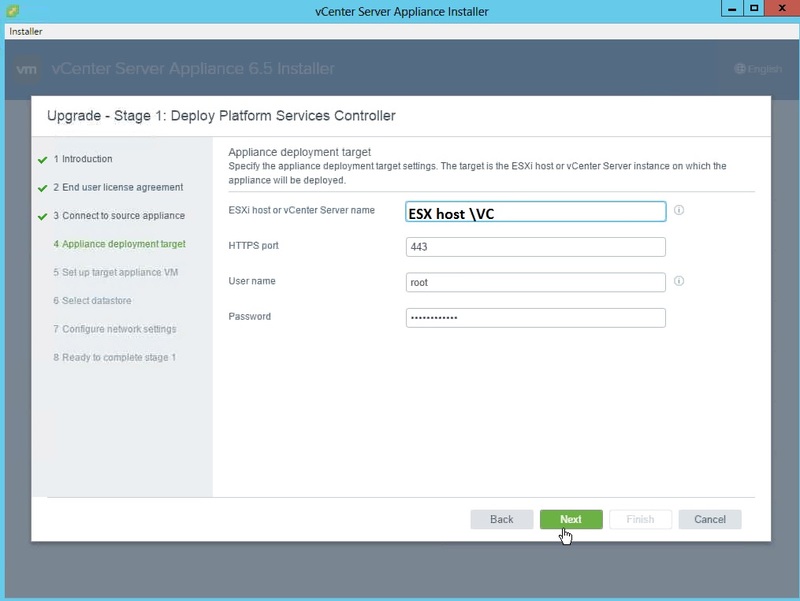 Next provide the target ESXi\VC in which appliance to be deployed. Next have to provide the Target VM settings to be deployed so like mentioned if we are not renaming the existing VM name in the inventory then it will show the error as already VM name is exists .. So make sure the current appliance name is renamed in the inventory. It will show all the configuration details . It was in 99% for almost 10 mins while configuring the network and the first phase got completed. 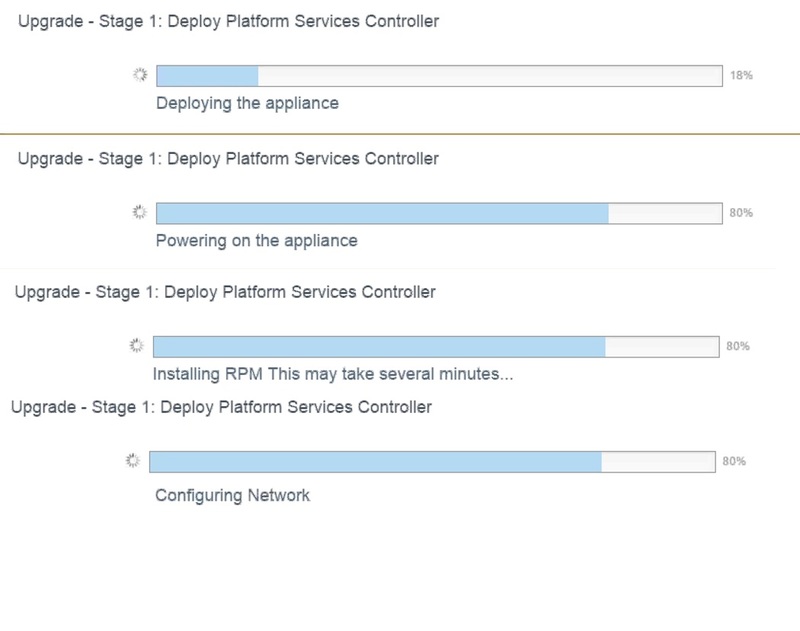 On the second phase it will show the below warning to make sure the appliance is not under fully automated DRS to avoid vmotion of the VM to the other host. 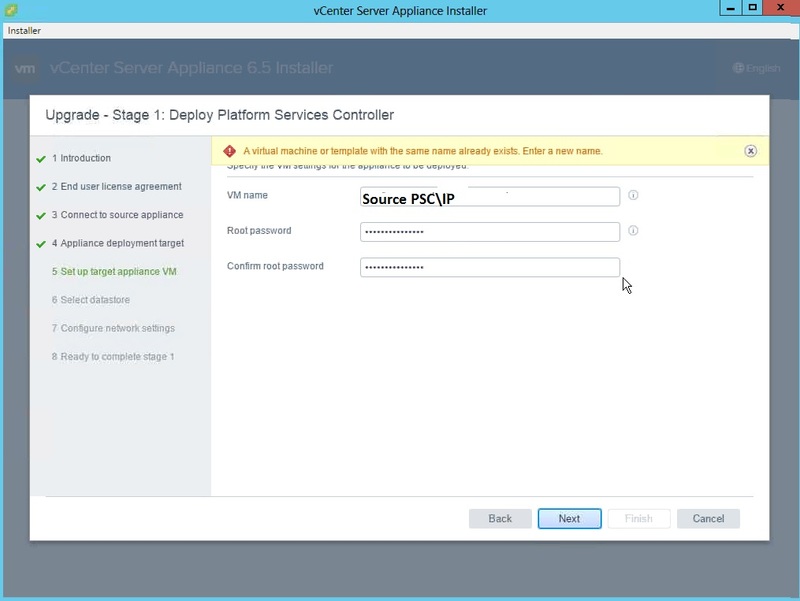 if all the configuration is correct then the PSC installation will be completed. 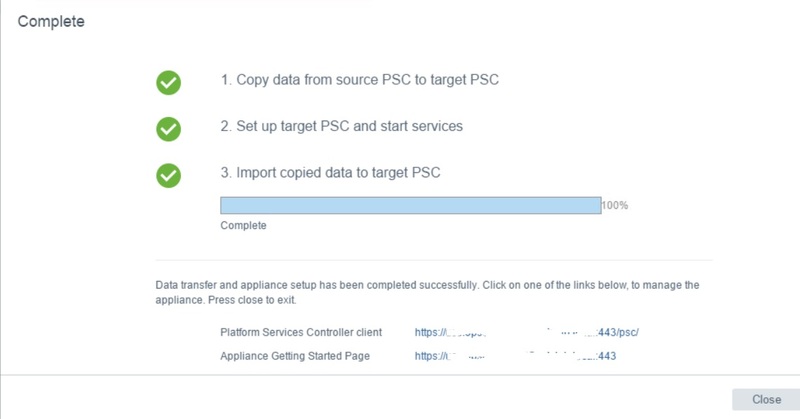 We can verify the PSC by login in to the https//PSC:5480 and alsp https://PSC/psc. 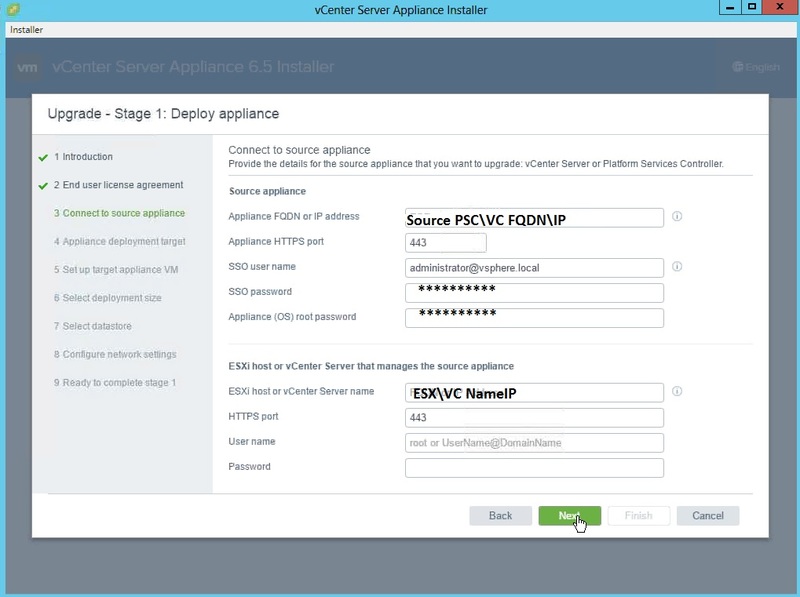 Also we can notice the old PSC will be in power-down in Vcenter. 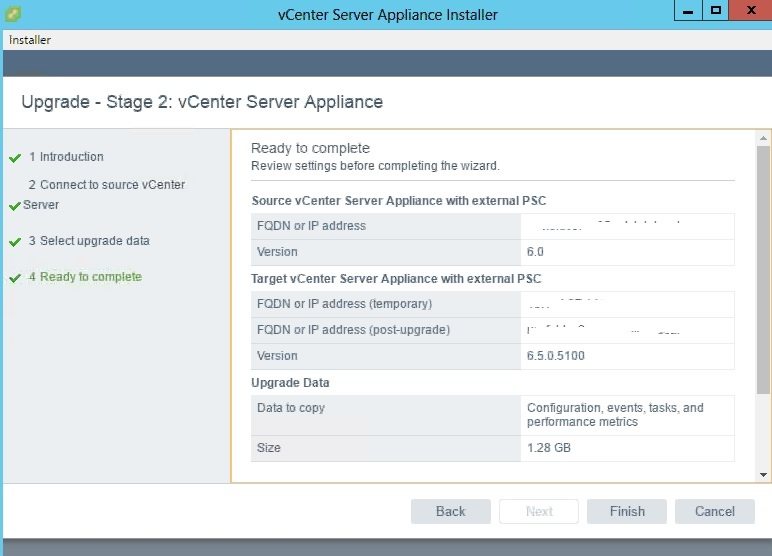 Next we can see the vcenter upgrade and we need to follow the same steps as PSC so I will be covering only the second phase of the installation. Once the first-phase is completed the second phase will start with the pre-upgrade steps . Same like PSC it will show the warnings to remove fully automate DRS and also it will highlight to make sure other extension will work with the new upgrade . 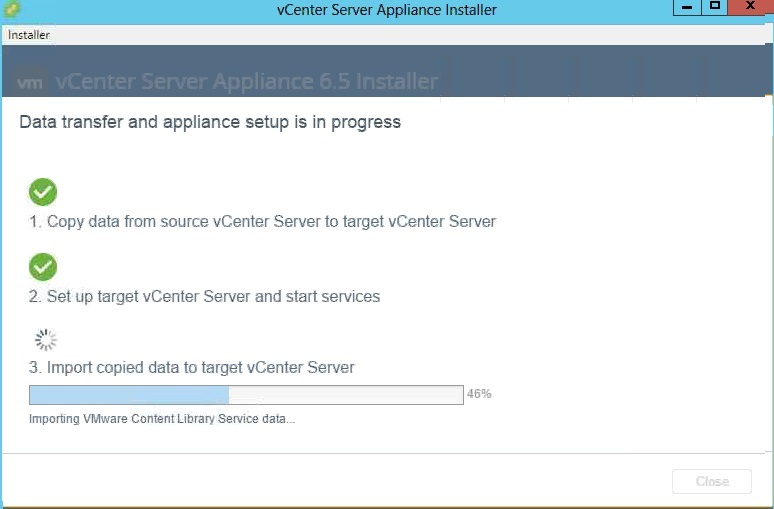 Next it will show the data size to be copied to the new target server and the size will be depends on our environment.Also we can decide what data we need to copy to the new upgrade target VM. 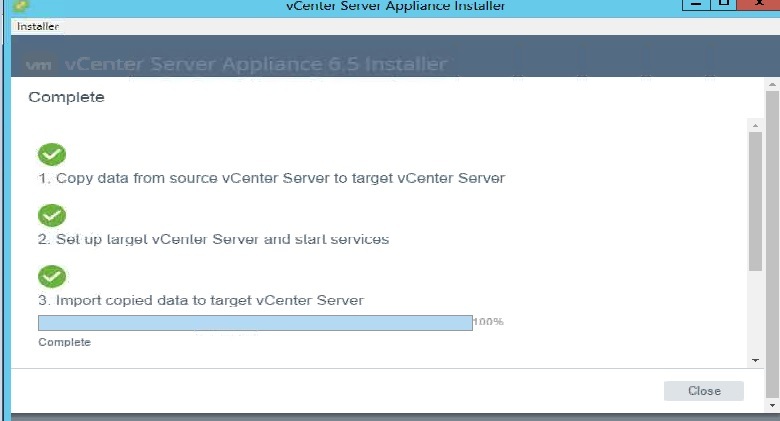 It will show the source and target vcenter and its configuration. 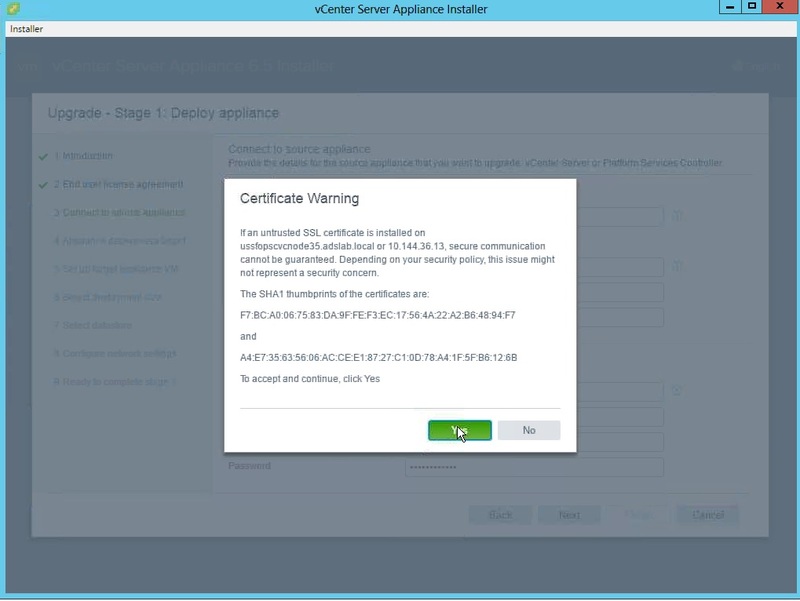 It will show the warning that source VCenter will be shoutdown. upgrade process will be started. 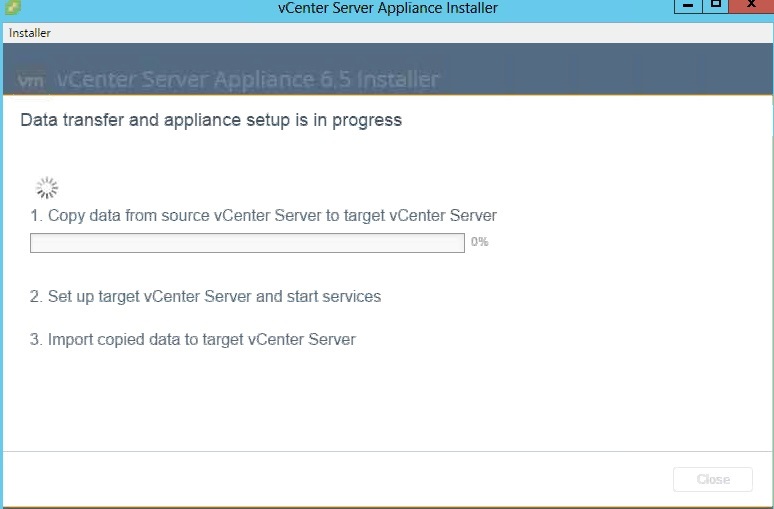 We can see the status of copying the data and setting the target VM. 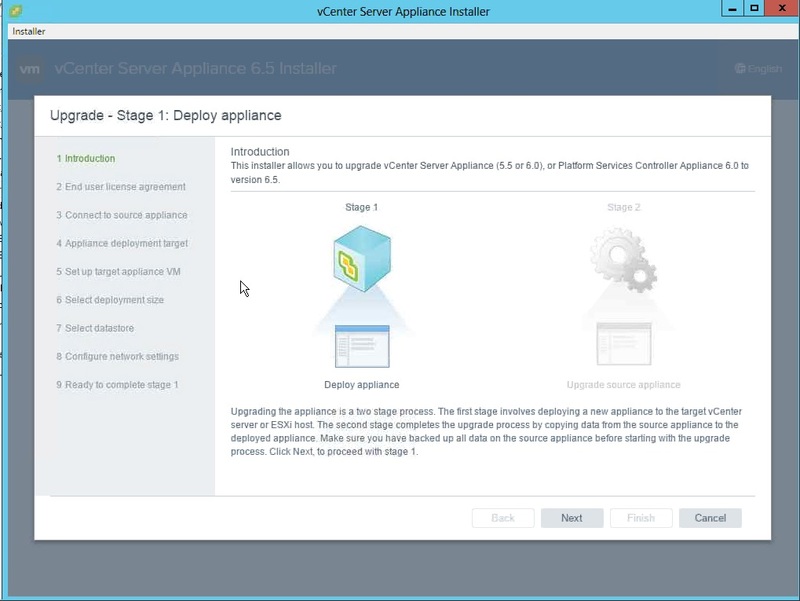 So once the installtion is completed we can take the vcenter using the web and pls note from the Vsphere 6.5 we cant use the desktop C# client to access the vcenter. 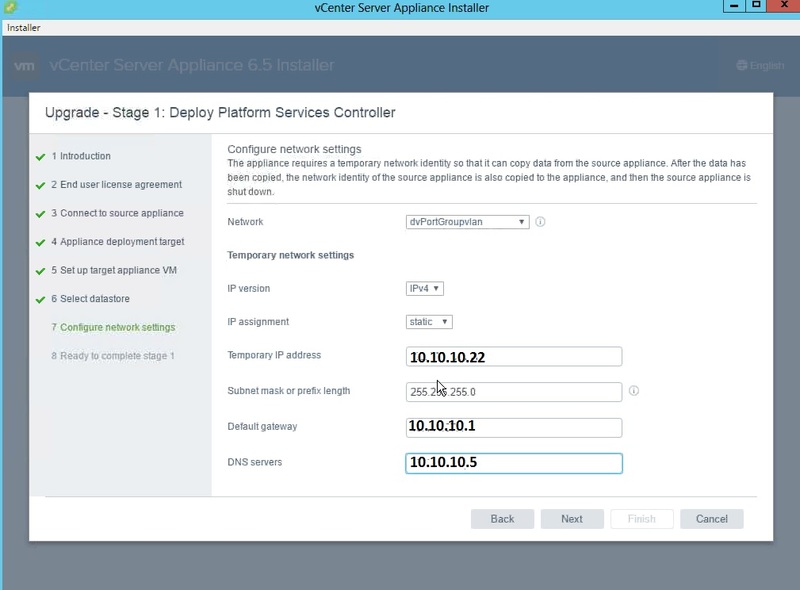 This entry was posted in Vcenter Appliance, vCSA 6.0, VCSA6.5, VMware and tagged VCSA, vcsa6.0 to 6.5, VCSA6.5. Bookmark the permalink.